THE PICKIEST EATER IN THE WORLD: FREEZER BURN'S SPECIAL CHRISTMAS FLAVORS! The first Ice Cream Sundae we tried was the Peppermint Candy Cane. 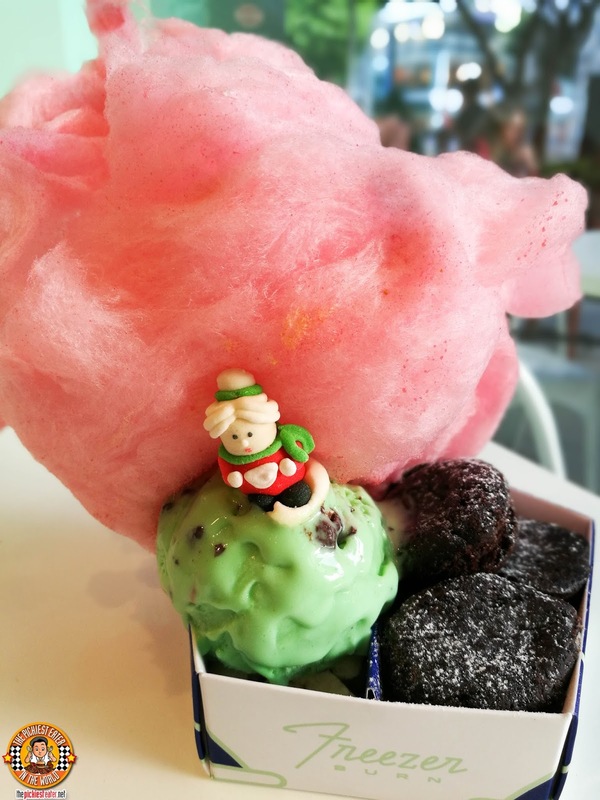 The ice cream actually is Peppermint Candy Cane, and is paired with incredibly moist Fudge Brownies. 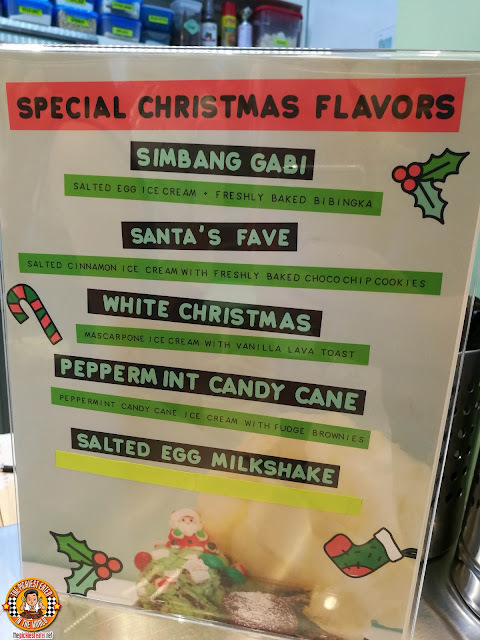 The next flavored we tried is called Santa's Fave, and aptly so. It was amazing! 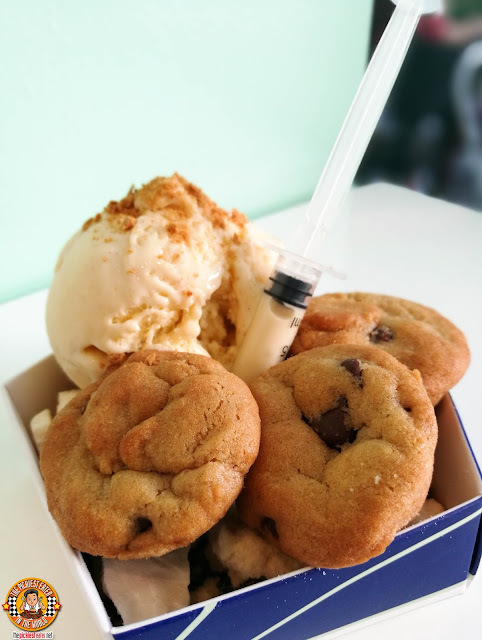 Chef Miko Created a Salted Cinnamon Ice Cream, that gifts a beautiful hint of sweetness, and is paired with the gooiest Freshly Baked Chocolate Chip Cookies you'll ever try. An injection of cream takes it to a whole new level of deliciousness. Another one of my favorites was the White Christmas. Composed with Marscapone Ice Cream, and paired with Vanilla Lava Toast, this is the classic example of Chef Miko's uncanny palate, as the Marscapone Ice Cream paired harmoniously with the toast. 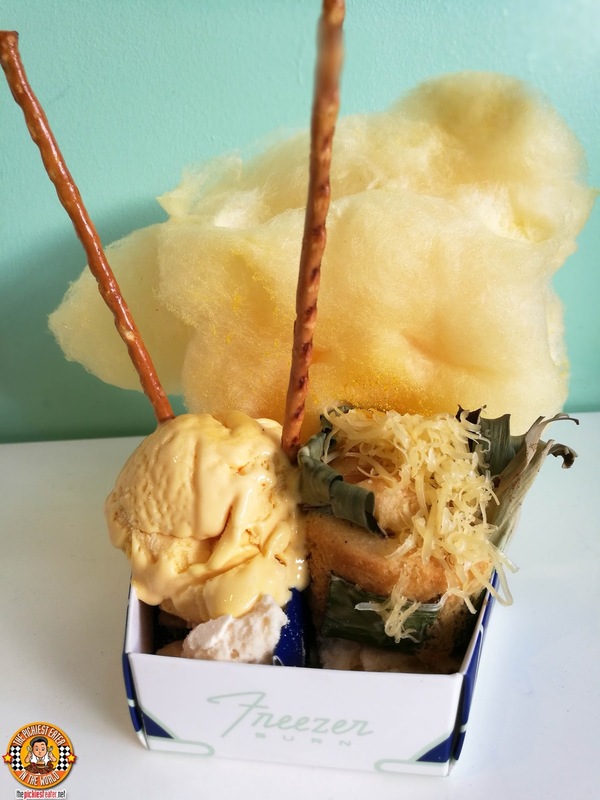 In celebration of the classic Pinoy tradition, Freezer Burn whipped up a composed dessert called, "Simbang Gabi", which is made with deliciously creamy Salted Egg Cream, paired perfectly with Chef Miko's homemade Bibingka. 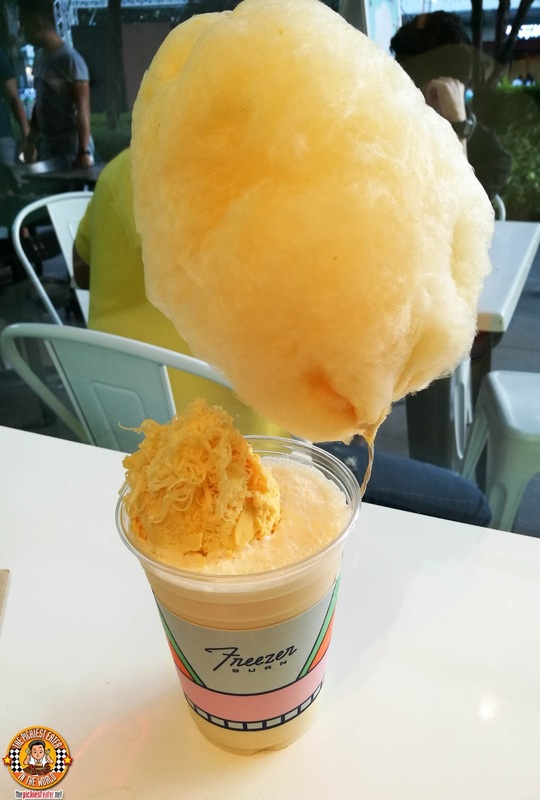 You can also enjoy the Salted Egg Ice Cream as a delicious Salted Egg Milkshake! 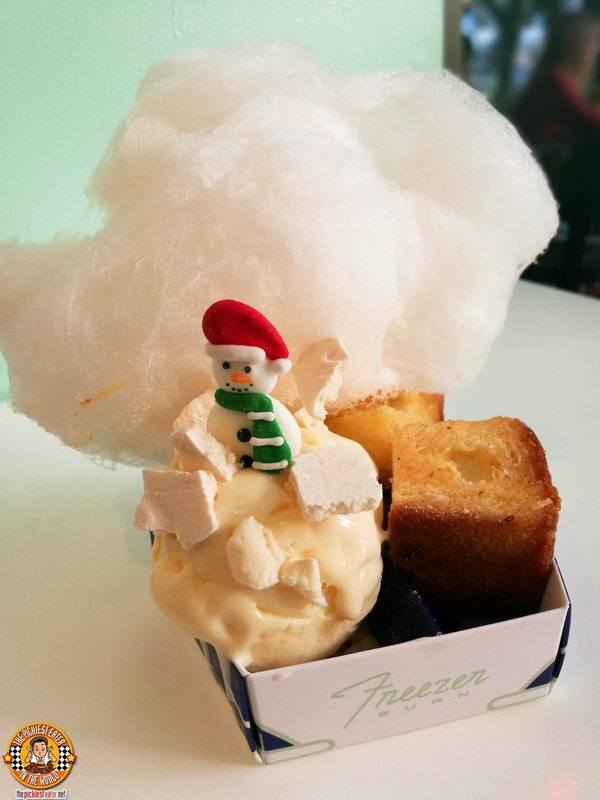 Freezer Burn's Special Christmas Flavors are the perfect way to get yourself into the holiday spirit! 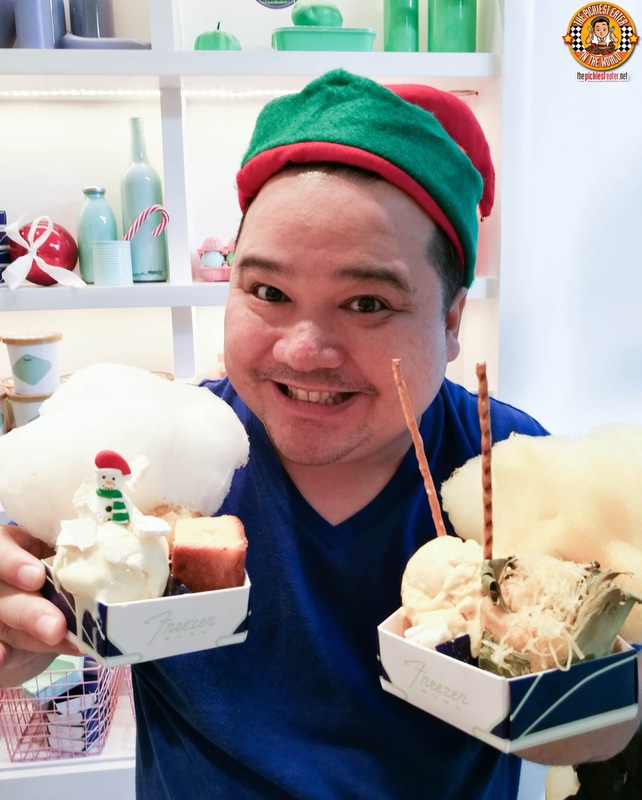 Every bite you take of these amazing creations will make you feel warm and fuzzy inside, just like the feeling you had on Christmas morning! Like Freezer Burn PH on Facebook!